Every time I see my book cover and name on a book blogger’s site, it’s so surreal. 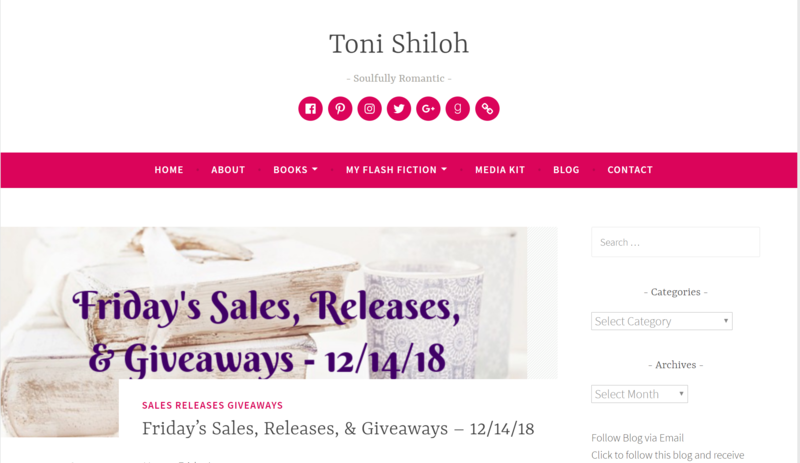 This week it happened again, with a shout out from fellow 2019 debut author Toni Shiloh on her blog: https://tonishiloh.wordpress.com/2018/12/14/fridays-sales-releases-giveaways-12-14-18/ . Thanks Toni! And thanks to everyone who’s been sharing info about my book! Previous PostPrevious Book 2 title reveal! Next PostNext New author pics!